The UK Space Agency is making funding available for Aurora science. 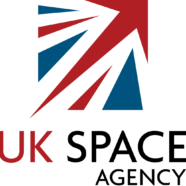 The purpose of this AO is to support science associated with planetary exploration to enhance the UK’s capabilities and cross-disciplinary approach to planetary science. The first mission in the Aurora programme, ExoMars, will search for traces of past and present life. A key goal of the ExoMars Trace Gas Orbiter (TGO) is to detect and characterise trace gases in the Martian atmosphere and gain a better understanding of methane and other atmospheric gases that are present in small concentrations, but could be evidence for possible biological or geological activity. The ExoMars rover, due for launch in 2020, will search Mars for signs of biosignatures from past life preserved within the subsurface via a 2m drill. Science research activities in collaboration with the robotic exploration unit within the ESA Centre at Harwell, for example activities around sample curation, understanding contamination introduced by a missions sample processing system. All proposals should have a letter of support from ESA (contact point Ludovic.Duvet@esa.int). This need not be restricted to Mars research. Proposals for matching funding for the ESA NPI scheme are most welcome. Although extensions to current fellowships will be considered, preference will be given to new fellowships. Further information and application instructions can be found here or in the announcement pdf.